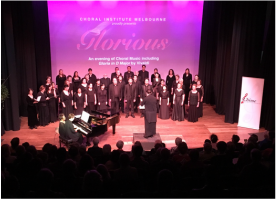 In 2018, CHIME's primary rehearsal venue will be at Wantirna College. Parking is adjacent to the Theatre, on Harold Street. CHIME does not rehearse during January. The CHIME year is broken up into several seasons, usually coinciding with the Victorian School Holiday calendar. Annual rehearsal schedules are issued at the beginning of each year. For CHIME members, we use a management tool called TeamApp. This is available on multiple platforms for smart phone and as a web version.